I was born and raised in the South. My husband was too, but he’s not a real Southerner—his father is from San Francisco, and his mother is from Michigan. They moved to Georgia from up north a few years before the hubs was born, bringin’ their Northern and West Coast ways with them. Not that there’s anything wrong with Northern or West Coast ways; they just aren’t Southern. Still aren’t b/c even after 30+ years of living in the South, there are still times when I’ll say or do something, and my husband will be completely bewildered. Or bothered. For example, he particularly dislikes it when I say, “I suwannee.” But I do say it. Regularly. Perhaps even more often than I usually would b/c sometimes it’s fun to bother your husband. 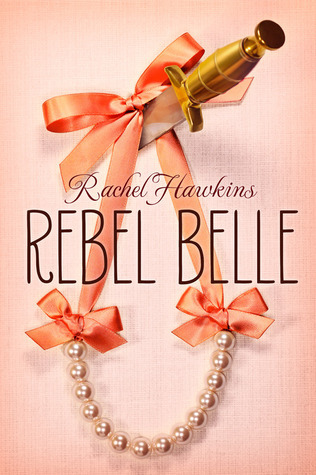 The point is that it is a truth universally acknowledged that your family has to have lived in the South for several generations before you are really and truly Southern, and I have a sneaking suspicion that Ms. Hawkins is really and truly Southern, b/c Rebel Belle captures that essential Southern-ness better than anything I have read in a long, long time. I laughed so hard and so often that I was grateful to be reading in the privacy of my own home, AND I read all of it in one sitting. It was that good. Once, I even laughed so hard that I cried. My husband thought I was having a fit. Maybe I was . . . But if I was, I couldn’t help it. With Harper tossing out one-liners left and right, and her crazy great aunts being . . . well, crazy great aunts (and also the source of the longest and loudest laughter), I don’t see how I could possibly be blamed for the perceived hysteria that this book induced. So stop looking at me like I’ve lost my mind, m’kay? And this book has more to offer than just humor. Harper is a character that is easy to connect with whether you’re from the South or not. I’m sure that many of you know someone that deals with grief by making herself too busy to think (or you may even be that kind of person yourself), and that is exactly what Harper is struggling with. She’s the Head Cheerleader, the President of Future Business Leaders of America and the Student Council, Captain of the Debate team, etc. So the last thing she needs is to have superhero-like abilities unceremoniously thrust upon her and the accompanying biological imperative to protect her archnemesis David Stark (a HIPSTER *gasp of horror*). Unfortunately for Harper, that is precisely what happens . . . There weren’t many problems with this book, and the problems I did have weren’t huge. The Big Bad was a little flat; I didn’t understand her or her motivations. She just kind of showed up, this megalomaniac, narcissistic teenager, wrecking havoc wherever she went. And aside from David, who can’t really be considered a secondary, and Harper’s best friend Bee, the other secondaries were also a little bit underdeveloped. Based on the ending, however, I’m hopeful that we’ll learn more about them in the future. But overall Rebel Belle is sheer perfection for what it is—yummy good brain candy. There are still real problems and obstacles to face, but you don’t become bogged down with trials and tribulations. Harper is a clever girl, capable of thinking on her feet, and if those feet happen to be wearing a pair of fantastic heels—what of it? I highly recommend this book to anyone in need of something lighter and fluffier than the standard Urban Fantasy, YA or otherwise, and I can’t wait to see what the next installment brings. LOL! I’m a native west coaster raised, at least partially, by transplanted southerners in California so the whole southern thing makes me laugh. I sometimes feel like I have southern cred and then I realize I really don’t! I’ve been looking at this book from the corner of my eye for a while. It’s been tempting me. I may have to make the move to buy it. Great review! This looks like a fun read. I’ll have to add it to my TBR pile. OOh nice review!! Love Rachel Hawkins’s Hex Hall and spinoff series so I can’t wait to read this one! It’s in the TBR mountain, just gotta make my way to it! Sounds like an awesome read! Thank you 🙂 And this is definitely my favorite of Hawkins book so far! I hope it doesn’t take you too terribly long to get to it (but yes, my TBR pile is also the bane of my existence, LOL). I know! When I came across that in the book, I stopped everything and ran to show him that it was indeed a legitimate expression, LOL. That would be absolutely precious, LOL!!! Thanks, Amir! You would fall over laughing at me if I went truly deep South for you *snickers* And this is a great place to start, I think. I liked Hawkins’ other books well enough, but IMO this one blew the rest out of the water. There are days when I really need something fun and light and this sounds just perfect for those days. I’m getting this book. No, thank YOU 😉 I totally googled it too after you said that b/c I wanted to see what came up, LOL! Sorry about that—I should have said in the review. And I hope you like it! I can’t wait to hear a non-Southerner’s reaction to it. W-w-w-what does The Suwanee means?! O_O I’m trying to rummage through my memories if I’ve ever heard of such a thing and I think it’s only hear that I heard of it. Although you have to forgive me, I do live half the world away ;P Hihihi. With that said, the majority of the reviews for this book echo the same thing: that it’s a good fluffy read. I wanna read it as soon as I can. Not sure about the love triangle (there is one, though, right?) but I hope it’s something I can tolerate. LOL, Faye! It means, “I swear.” Honestly, if I had half a brain in my head, it would’ve occurred to me that just b/c it makes perfect sense to me, doesn’t mean it will to you. My bad 😉 And I suppose that technically there is a triangle, but no lines are ever crossed, and there’s very little angst. It flows in a very natural progression (I think it did anyway, but then again, one of the guys felt much more real to me than the other, so maybe I just didn’t care . . . ). Either way, with you being not a huge fan of angst, it works! I am with Faye, what does it mean? Okay, I also had to look up what “I suwannee” meant! It’s funny because I’ve had a similar experience being from Canada and moving to the States…I still say some Canuck things sometimes that garner me funny looks in public or an eyeroll from the husband. Rocket ships, daggers . . . it’s all the same, LOL. And “I suwannee” means “I swear.” I know; it’s weird. But my sister-in-law is Canadian and my best friend is half Canadian, so I know ya’ll say plenty of strange things too 😉 PS—have you ever heard the expressions, “a memory like an elephant,” or, “an elephant never forgets”?! You read it! YAY! Yeah, I love the setting of the South and seek out books with it, it’s just entertaining for me. This one was a lot of fun, glad you enjoyed it too! Oh, me too! And yes, I loved it. When it’s done in humor like this clearly is, it’s pure fun (especially when my Grandmother’s name is Maawtha, like one of Harper’s great aunts 😉 ). I am not Southern, but I lived in the south for awhile so I think I could totally dig reading this. Luckily I snagged a copy when she came to town for a signing a few weeks ago! I am on it! Yeah, I remember you telling me about going to the signing . . . I also remember the pizza, so now I’m hungry, LOL. Great review as always Jessica! This one is going on the TBR for sure 🙂 When I was a kid I had a Southern drawl so thick…plus I couldn’t say the letter “r”…my name was “Twaci” for years. Anyway, no one except the family could understand me so they put me in speech therapy in school. That pretty much killed my drawl, unless I head back where there’s a noticeable accent and then it comes out. I still have the sayings though. It drives my boss nuts when I use “fixin’ to” and when I lived in Montana for a while I would get the strangest looks when I would throw out “y’all”. I went to college in New Orleans too and you could definitely tell which students were from up north once the temperature started to drop. All us Southerners are pulling out the sweaters and coats and they were running around in shorts…in December! That was my mom’s argument when I said I was going to go to Montana too…”But Traci it’s cold there. You don’t like the cold”. I only lasted 4 months LOL! I know! One of my best friends in college was from Massachusetts, and she loves it here, humidity and all! She’s lost her mind! And I prefer cold to heat, but even I don’t think I could handle Montana cold. 4 months is plenty long, LOL. What a southern snob! LOL Did your hubs read this post? I suwaneee!!! Anyway, lovely post, I enjoy the little personal nuggets of info you incorporate on your reviews. This sounds really good! Obviously I know nothing about the South…buuut, I LOVE it when authors pull off a style with perfection. There’s nothing worse than reading a book set in your home-town or whatnot and having it be wrong. >.< Argh. I've read books about Australia and finished them thinking, "Dude, you have NOT been to Oz have you?" And that really effects my opinion of the overall book. Mm..so yeah. This sounds epic! Can’t get further South than Texas! And if you adore Southern books, then YES, you NEED to read this. It is all things bright, and shiny, and good! And I do the same thing to my husband, but with Alabama-isms my dad taught me 😉 He just shakes his head at me, LOL. I haven’t read this one yet, but it sounds fabulous. It’s received quite a lot of hype, so I’m SO glad you enjoyed it so much! I’m a huge fan of light, fluffy books, so I’m going to have to check this one out! Plus…you labeled it as a page-turner, and I cannot deny a book like that! Thanks, Zoe 😉 There has been some hype, but honestly I paid this book not one lick of attention until a few weeks ago when I finally caught on to it’s Southernness. And even then it was last ditch effort for me (with Hawkins), b/c I was not a fan of the Hex Hall series at all. So I was thrilled to be wrong. And it’s certainly a light and fluffy page-turner, so the next time you’re in the mood for that, I say go for it! Okay, what if half your family is all from the south, but you’re born in CA? Does that count as being 1/2 Southerner? 😀 I didn’t realize this was UF, how fun! For sure, and half definitely counts 😉 And yes, it is YA UF! I missed that the first few times I heard mention of it too. OMG, I love that cover. So prime and proper…and deadly. Happy this one worked for you. I gotta say, the whole southern belle thing has me interested. 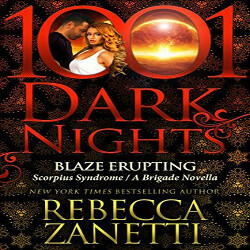 I love when you can connect so well with a book and the characters that you get emotionally involved and laugh so hard you cry!! I think I’d enjoy this one Jessica! Great review! Very shallow of me, but the cover would never had gotten me to read the blurb, I’ll admit. It just looks so… vanilla, lol! After your review though, I’m definitely putting this one on my list of “for sucky days”, when I need something good ol’fun to get my mood up 😀 I love the sound of Harper, I’m almost positive she’s gonna be a blast! I hope your library has it! I think that people will like this book no matter where they’re from, BUT if you are from the South (or acquainted with Southerners), then I think you will absolutely love this book. Hawkins is spot-on in her depictions of people and places, and in her dialogue—the dialogue is incredible. One of the very first things that Harper says that made me snort (yes, snort, LOL) was, “PDA is vile.” So great. Ummm, YES please! This sounds so amazing! I think I’ll stop what I’m reading now to read this one! Great review, Jessica! I am on the edge when it comes to this book, but it looks like almost all readers are enjoying it so I should give it a chance. I was soooo curious about this one. I like the books by Rachel Hawkins so I wanted to try this one as well. I’m so glad you had a great time with it, and you’re right it’s great to see that the author was able to keep the feeling of the South. I don’t really know how it is, but I think it’s like that in Corsica too. The main character sounds great too, I love a good of humor and that we can relate to her easily is perfect. It’s just a little too bad for the bad guy. Thanks for your review Jessica! I’m curious to read it now! I’m so happy you liked this book and now i can’t wait to get my hands on it and read it too! At first i was a bit skeptical but now i think it would be a good read for me! I actually didn’t know there would be a sequel! i had thought this one was a standalone for whatever reason! Honestly—That’s really what happened! I hadn’t seen Wendy’s review (that’s my next stop) but i think based on what you have to say about this book i’ll probably be making a stop to amazong soon. Sure the cover didn’t thrill me at first but well… they say don’t judge a book by t’s cover, right? I love it when you can really recognize that someone is so genuine because you know the area so well. I’m not southern (I hope you don’t hold that against me… LOL) but I do think I would love to read the book. Sounds like so much fun! I don’t, LOL! I’m really not a Southern snob, I promise! It’s just that Southerners are so WEIRD that if you haven’t been picking it up from your grandmother, etc. since you were a child, you’re not as fully steeped in the weirdness as the rest of us are. And yes, knowing just how spot-on the portrayals in this book were was half the fun. It’s still funny and quirky enough that anyone would enjoy it, but it you grew up surrounded by it—absolutely hilarious. I suwannee, you’ve just stole these southern girls’ hearts with your review! This sounds like a great read, and I’m so glad you enjoyed it — Harper sounds like our kind of character! Wonderful review, Jessica! Thanks ladies 😉 And yes, this is absolutely a book that Southern girls will love! Harper is fabulous! So if I’m from the North – like so north I’m in Canada lolz – will that book still make sense to me? Like the lingo and stuff that you southern people say that would leave me going huh!? Although I gotta say that I’ve watched a few shows set in the south and I’ve always loved them. Like Hart of Dixie which is in a tiny town in Alabama (you totes have to watch that show!). But anyways, I’ve no idea what “I suwannee” means for instance lol >.< I do love these kinds of entertaining, funny reads though they're the kind of escape I need once in a while since I read a lot of darker books. I do love me some brain candy!! Oh I just love the sound of this book, it sounds like it really captures the heart of being a southern belle and it just sounds so incredibly charming! I love the sound of this book. Thank you for your review Jessica! This book captures the South, almost in its entirety—the belles, the little old ladies, the nosy neighbors, the over-protective mothers, ALL of it! I really loved it, and you are very welcome, Jeann! I had no idea this was UF! I love Rachel Hawkins’s Hex Hall series so I can’t wait to read this one as well (even more so now bc it is UF) the characters sound amazing as does the southern touch. I keep seeing this one around, bah I should have grabbed it! Sounds like a really fun read. Awesome review Jessica, thanks! Adding it to my wishlist. Culture shock or no, I still think it’s awesome you did it. My husband spent a year in Taiwan, and a cousin spent a year in Montenegro, but I never had an opportunity to do it myself. I think it would be an amazing experience. Yes, we can be a pretty odd bunch, LOL. Glad you’re feeling more comfortable now (we are also a friendly bunch 😉 ). Thanks, Julie! And I hope you can get it from the library—it really is a lot of fun. Oh, WOW, Jessica! The fact that you actually loved a Southern story and it rang true to you is a huge endorsement! And if Harper’s one-liners are crying-of-laughter-worthy, I’m definitely in. I loved her witch series and I’ve been wanting to read this one! I need to get a copy first then fit it in. I’ve heard good things though. I was hoping there is an audiobook for this one. I hate when I do that, LOL. Yay! I’m so glad you them (and this one too 😉 ). One of my favorite things about doing this is meeting bookmates. I hope I’ll be seeing a lot of you! Before I forget – I have to give you a little nod for that Jane Austen (P&P) line worked in. Nice! Anyway – I’m not a southerner, not really – I was born in NY and we moved to Texas when I was 13. So I don’t count, but I love it here and love all the crazy things southerners do. (though I’ve been told that TX doesn’t count as southern…) and I really enjoy books that embrace that charming craziness/wackiness. I’ll have to add this one to the list too! I can’t wait to read this one. I really liked this author and her books and I love how funny her stories can be. I’m a huge fan of one liners and I can’t wait to laugh while reading this slightly lighthearted UF. Ah, Jessica, I fell for your winsome smile! I’m so glad you enjoyed this, especially as a lovely southern girl. Wasn’t it FUN? I like Rachel Hawkins’ books so much because I love the fluff. Even though the stories are never really all that complicated (agree on the villain), they’re not dumb or shallow, they’re just always light as air and so entertaining to read. Oh, how I adored this book. It was the perfect book at the perfect time, and I absolutely LOVED it. It was fluff, but it was wonderful fluff, and I am in awe of how well Hawkins captured not only the universally recognized ideas of what it means to be a Southerner, but also the more subtle idiosyncrasies. And those great aunts! Hilarious!